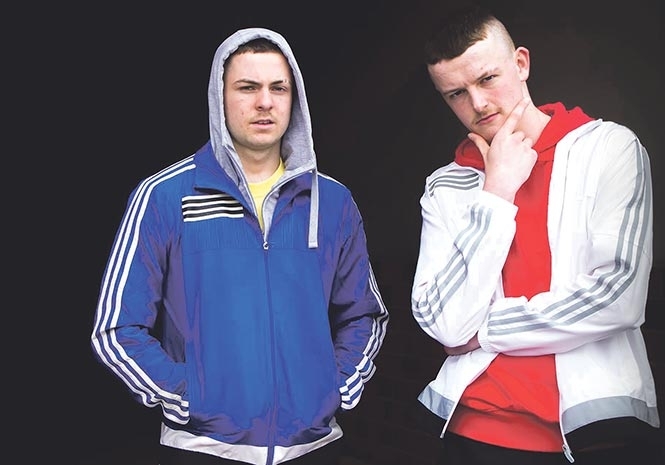 YOUNG OFFENDERS: Are benefits to blame? PERSONALLY, I think the crime wave of tsunami-like proportions, which is at the moment practically engulfing the UK, has very little to do with the countries lack of police resources. I believe a large part of the blame can be firmly apportioned to the breakdown of the family unit. Huge numbers of families across the UK, have for years taken full advantage of the liberal benefits policies of successive governments. Child benefits have been a particularly lucrative source of earnings. Consequently, many children have been conceived and born purely to add to the family income. This has resulted in enormous dysfunctional families, of individuals to whom benefits are a way of life and children merely a means to a financial end. There is no love or guidance in these families. Once the children’s purpose has been served, they are left to roam the streets with no sense of decency or compassion for their fellow human beings whatsoever. How could there be, when there have been no examples of it at home? Once let loose, they link up with likeminded offsprings of their fellow dysfunctional neighbours and begin to run riot. They soon begin to realise, that the impossibly priced electronic devices and expensive ‘toys’ they have been bombarded with on television, are completely out of their financial reach, even if they took a ‘proper’ job. So, they turn to crime. Heaven forbid I could condone their often-horrendous actions, but quite frankly I can easily see that they must actually feel they have very little choice. To be honest I can see no answer to the immediate situation. Lock up as many of them as possible I suppose. As to the future, only allowing child benefits for up to two children would be a start. At least this would curb the temptation to pour even more unwanted and unloved future criminals into our society. More police are certainly needed, but only because the numbers of young criminals have escalated so alarmingly. I would like to see boot camps built all across the country, where these young offenders can be sent to learn discipline, values and respect for their fellow human beings. Trades could be taught. Even simply showing someone actually cares may rescue at least a proportion of them that can then be released to become valued members of society. Although Spain also has some problems with young offenders it is nothing like the enormous criminal issues confronting the UK at this time. I firmly believe that a great deal of this lies in the simple fact that the Spanish family unit is still as strong as ever. Love and respect are firmly entwined and practised from grannies and granddads down to the youngest of the broods and although I do feel they spoil some of their kids rotten, its infinitely better than chucking them out to survive with no pre-preparation, guidance or sense of decency whatsoever. Thanks for all the mail. Keep ‘em coming. What are your sources of reference that allow you to make these gross assumptions? The Daily Mail? The Sun? The guy sitting next to you in the pub? Youth gangs have been around forever. The frontal cortex of males does not fully develop until about 25 years of age. This is the area of the brain that moderates behavior patterns with regard to rational response to danger and social norms. Why do you think war makers send kids of 18 to fight? After 25 or so, soldiers are more concerned with their own survivability and are less willing to take risks on the field of battle. Studies also show a decline in willingness to kill the enemy. So, Leapy, step up and prove these assertions. Well said and true, the same in the USA with a large portion of the black population, if it wasn’t for the strict laws on guns in the UK one could only imagine the chaos in the streets and homes. Article is spot on. The degree of family breakdown correlates very well with statistics on burglary etc. Compare figures of 1930s in the metropolitan London area with now. Far more poverty then and fewer alarm systems and cameras but about 10% of the crime.